Singer, songwriter, supermodel, record producer, actress and iconoclast, Grace Jones is truly one of a kind, equal parts intriguing, intimidating and indefatigable. From her early days as a model working with Yves St. Laurent and Kenzo, her rise to disco stardom in New York City’s Studio 54 followed by her storming the New Wave with her reggae–infused post–punk, through to her arresting, decade–defining work Jean–Paul Goude, her eclectic and iconic film career and her continuing artistic output in the current day, Grace Jones A to Z charts her incredibly rich life. 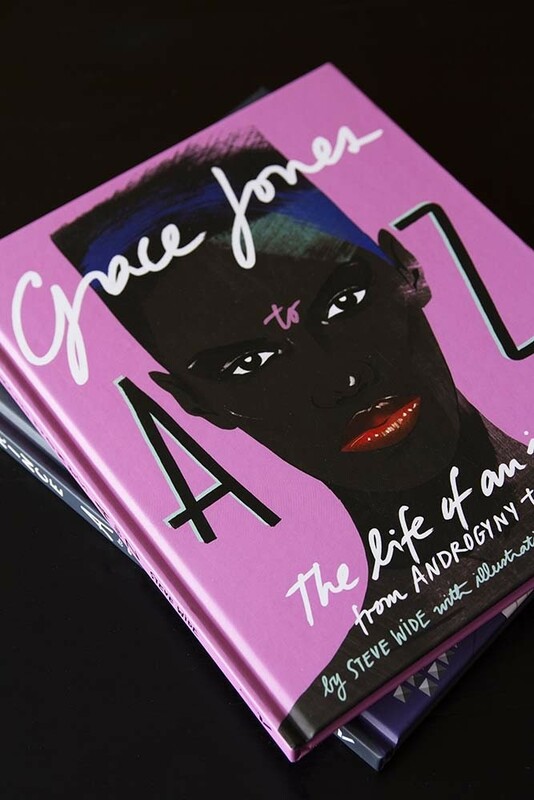 This book looks at her life, her art, creative collaborations, films, friendships and fun – all in a brilliantly illustrated A to Z format.